Lansing remembers Dr. Martin Luther King Jr.
On April 4, 1968, Dr. Martin Luther King Jr. was fatally shot while standing on the balcony outside his second-story room at the Lorraine Motel in Memphis, Tennessee. To this day, that unfortunate event has not gone unremembered, but instead of it being a day of pain and shock, it has it has become a day of remembrance of Dr. King’s legacy. 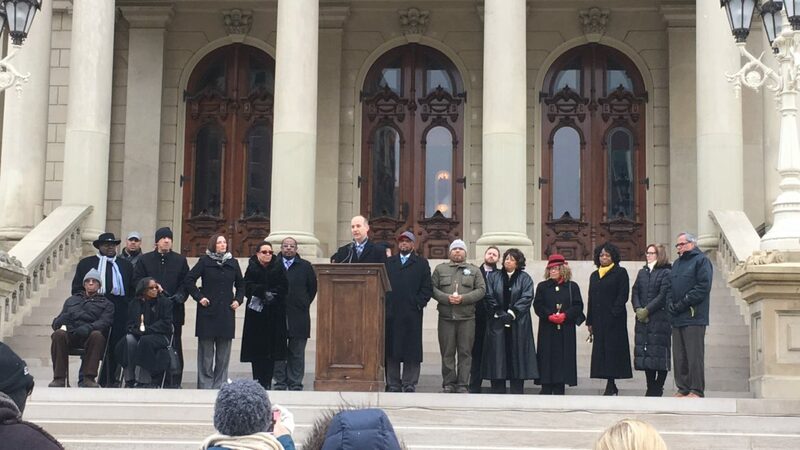 Many places over the country held commemorative celebration on April 4, 2018, including the city of Lansing at the Ring a Bell for Freedom event. Lee June, professor at Michigan State University, said it is important to share this history. He shared his story of where he was when he found out that Dr. King had been assassinated. Some of the people in attendance were people who were not even born in 1968. Muhammad Qawwee , a father of two young girls, said that he brings his daughters to a lot of different rallies for equality. During the celebration there was a moment taking out to play a small clip of Dr. King’s last speech I Have Been to the Mountaintop. For the closing of the ceremony, bells were rung at the exact time Dr. Martin Luther King Jr. was shot.